This has got to be one of our best years for cut comb. Normally I only put in an odd frame here and there in a super for cut comb, but this year nearly every colony has had at least one full super. Sally has been to the bee unit every night after work to cut the comb, drain it and then package it for sale. The earliest she left was 8pm. The picture below is just a small amount that she cut one night. I have also been busy extracting supers while Sally has been working on the cuts. We print our own labels on a special labelling machine, and this week we changed the colour from red to black. Not because we wanted to, but we ran out of the red vinyl and black was all we had. We both like the black, and so do others that have seen them, so I think that will be the colour we use in the future. I have been using a queen introduction cage this year to introduce a mated queen into nucs instead of my usual jz bz cages. The idea is that you push the cage into a frame of sealed brood, and then place the queen in the cage on her own. This is so that the brood that emerges will only know her as the queen. 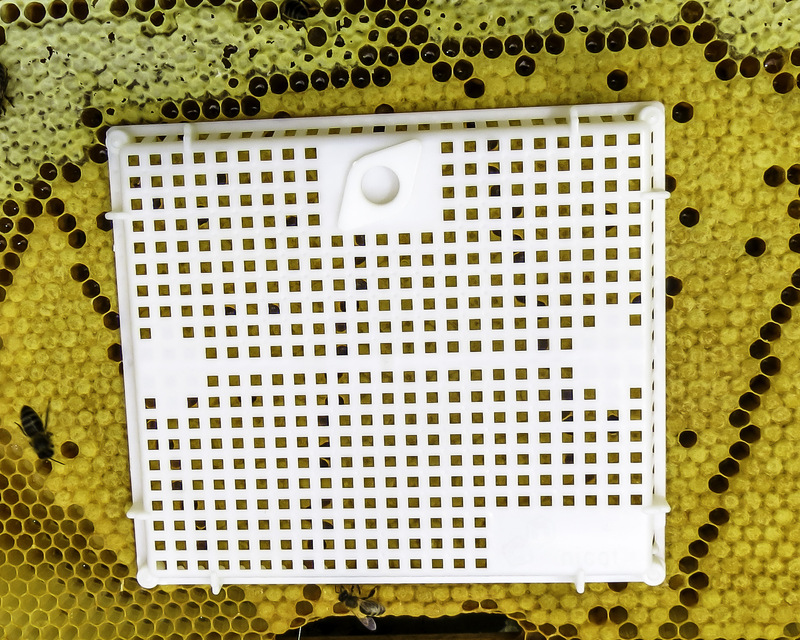 I place the queen as explained above and then after two days, I replace the plug in the cage with fondant and the bees usually release her within a couple of days. 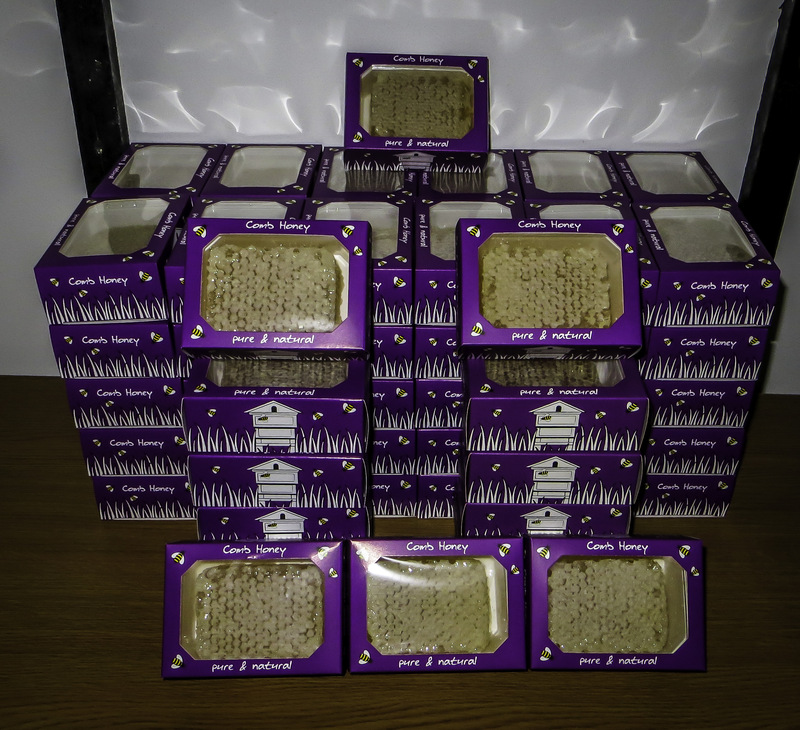 The outcome has been a great success and I have ordered some more ready for next years queen rearing. I have been keeping an eye on the heather for the past few weeks and it looks like we will be going early next week. Today I have finished putting the foundation in the super frames and then on Sunday or Monday, these supers will be placed on the hives ready for transporting. 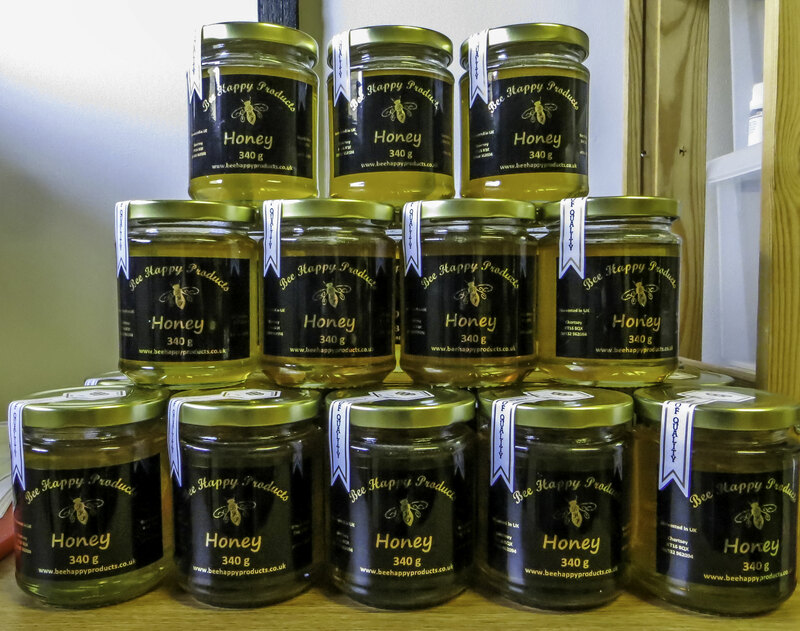 This entry was posted in Beekeeping and tagged Frames, Honey, Painshill Park, Queen Rearing. Bookmark the permalink.